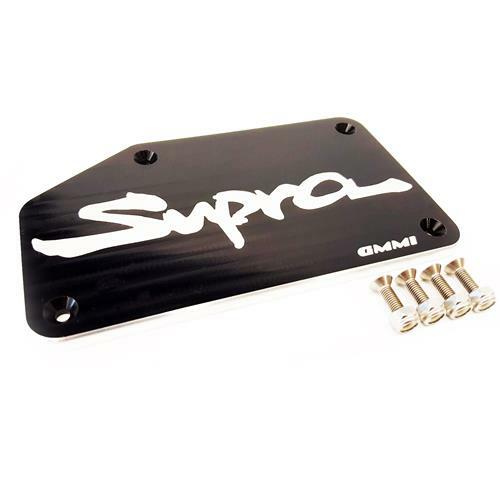 Make your engine bay stand out with this beautiful CNC’d part from GMMI Performance Products. Easy installation, only requires 4 holes to be drilled in plastic cover. Attach with provided stainless steel hardware. Precision machined from billet aluminum and anodized black. Engraving of the Supra script makes for a high quality finished product.